Note: This is a sample agreement and may not apply to your specific situation. Always have an experienced music attorney check your agreements before using them. Musician agrees to diligently, competently and to the best of Musician’s ability experience and talent perform to Artist’s satisfaction all of the services required of Musician hereunder. 3. Musician agrees that his/her performances shall be considered as works made for hire as contemplated and defined in Section 101 of the United States Copyright Act of 1976. Musician hereby grants to Artist all rights of every kind and nature in and to the results and proceeds of Musician’s services and performances rendered hereunder, including, without limitation, the complete, unconditional and exclusive worldwide ownership in perpetuity of any and all recordings and audiovisual reproductions embodying Musician’s performances hereunder. Artist shall accordingly have the sole and exclusive right to copyright any such recordings or audiovisual reproductions embodying Musician’s performances under Artist’s name as the sole owner and author thereof. 4. Musician hereby grants to Artist the worldwide right in perpetuity to use and publish and to permit others to use and publish Musician’s name, likeness, voice and other biographical material in connection with Musician’s services and performances hereunder. 5. Artist shall use best efforts to credit Musician as performing on the recordings herein in the event such recordings are released for sale to the public and shall place Musician’s name on the cover, sleeve, jacket or insert of the recording as part of any list of musical works. No casual or inadvertent failure by Artist and no failure by or of any third party to accord the requisite credit herein shall be deemed a breach of this agreement. 6. Musician hereby warrants, represents, and agrees that Musician is not under any disability, restriction, or prohibition, whether contractual or otherwise with respect to Musician’s right to execute this contract, to grant the rights granted hereunder, to perform each and every term and provision required to be performed by Musician hereunder. No materials, ideas or other properties furnished by Musician and utilized by Artist will violate or infringe upon any common law or statutory right of any person, firm, corporation, including without limitation contractual rights, copyrights and rights of privacy and/or publicity. Musician shall hold Artist harmless and hereby agrees to indemnify Artist for all costs in connection with any breach of the above warranties and representations. 7. Musician fully understands that Artist would not have employed Musician without an agreement on Musician’s part to give, grant, release and assign to it all rights of every kind in and to the work performed by Musician for Artist, together with all results thereof and incidental thereto. 7. Musician acknowledges and agrees that nothing in this agreement shall obligate Artist to employ or otherwise engage Musician’s services in connection with any other recording agreement. 8. Musician acknowledges and agrees that if she provides musical equipment or other property of any nature in connection with services required hereunder, Artist shall not be liable for any loss or damage to such equipment or property. 9. This agreement sets forth the entire understanding of the parties hereto relating to the subject matter hereof and supersedes all prior and contemporaneous negotiations, understandings and discussions. No modification, amendment, waiver, termination or discharge of this agreement or any of its terms or provisions shall be binding upon either party if not confirmed by a written instrument signed by Artist and Musician. 10. Any and all disputes between the parties arising under and/or relating to this agreement shall be determined in accordance with the laws and the courts of the State of California. IN WITNESS WHEREOF, the parties have executed this agreement on the date first written above. The Following are two additional optional clauses in case someone actually wants to split some percentages From the Master Use half with their musicians or singers. 2a. Not withstanding the foregoing, in the event that the recording embodying Musician’s performance is licensed for synchronization with an audiovisual production for which Artist receives a fee for Master Use, Musician will receive ________ percent of 50% of the total of combined Synchronization and Master Use fee received by the Artist or ________ percent of 100% of the Master Use fee (if paid separately)received by Artist. 2b. Furthermore, if Artist signs a contract with a major recording company and the recording embodying Musician’s performance is released by that company pursuant to the recording agreement, and the provisions of paragraph 2, above, notwithstanding, Artist shall use best efforts to cause the company to pay Musician the difference between what Musician has already been paid and the American Federation of Musicians session scale. 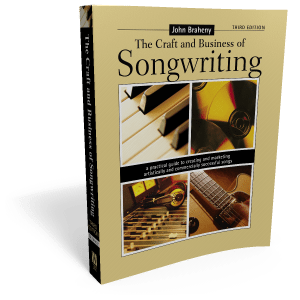 John enjoyed meeting with songwriters, writer/performers, and lyricists; and using his knowledge and experience to help guide them through problems with their craft, creative process or business. If you would like to remember John, there is a Facebook group set up in his memory here. Additionally, we have kept his archive of blogs and articles alive here on his site. © 2018 JoAnn Braheny. All Rights Reserved.